Last month Abby had her last gymnastics meet of the compulsory season. This was a fun end of the season meet and it was in Dallas. 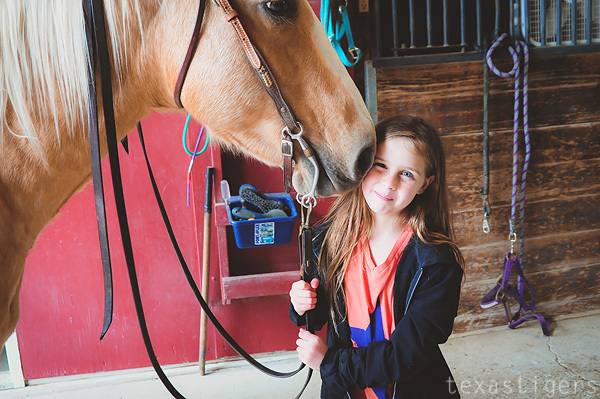 Beau's aunt also happens to live in Dallas and has mentioned forever that we should bring the kids up to meet her horse so while we were in town, we were sure to take advantage of the opportunity. 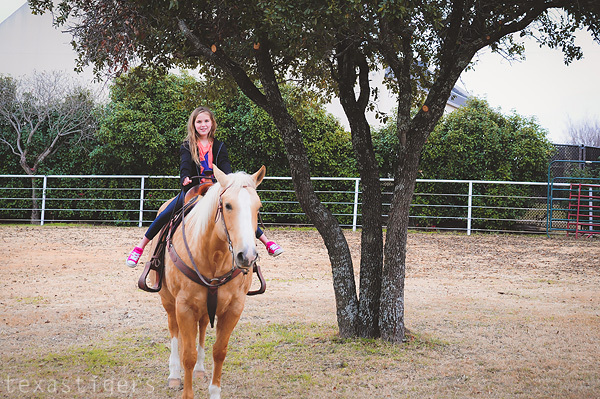 Abby was first up on Beau's Aunt's horse Deuce. They started off in the circle pen and then went out of it and walked around the property. 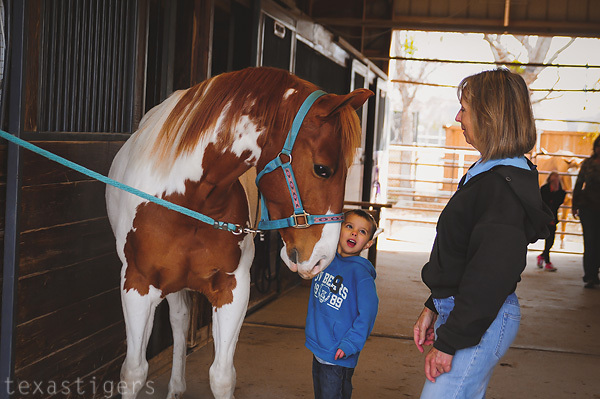 While Abby was getting set up on Deuce, Beau's Aunt's friend and owner of the boarding facility was saddling up one of her horses for the little two to ride and Micah went off to find her and help her bring Spice out. 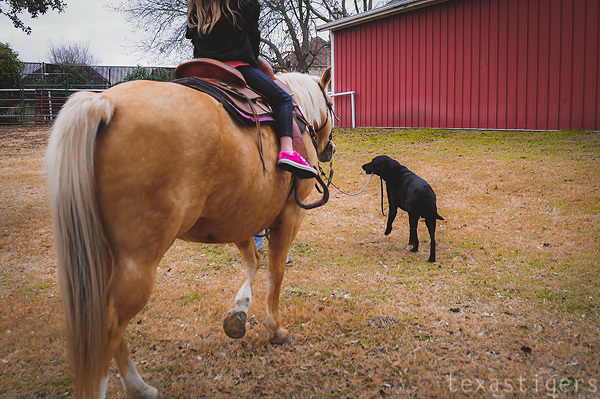 He was quite happy about finding himself a horse to ride when he walked out holding the lead rope. 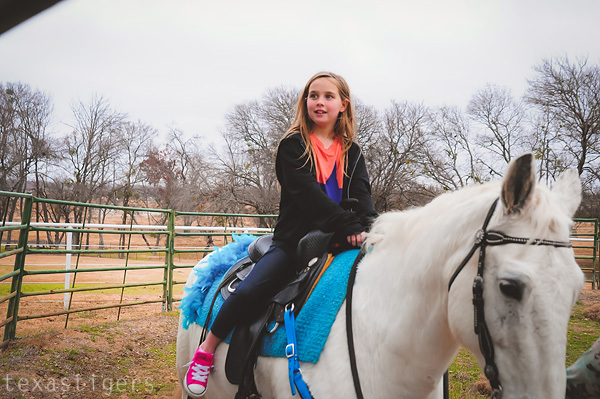 Lexie really thought she wanted on a horse and so we put her up there with sister but that only lasted about two steps before she wanted me again. 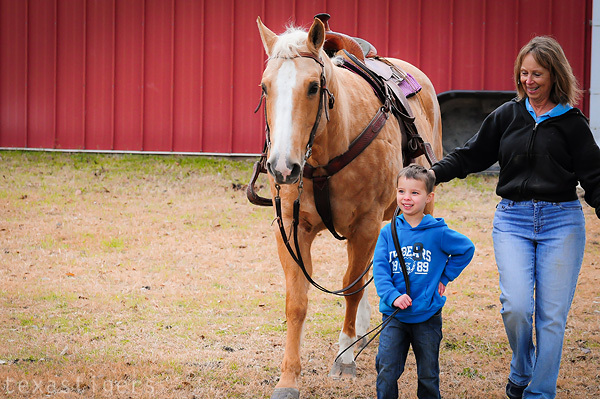 Meanwhile Micah was happy as a clam learning how to use the reigns to direct the horse where he wanted to go. Rhett had come along for the weekend (my spoiled pup!) 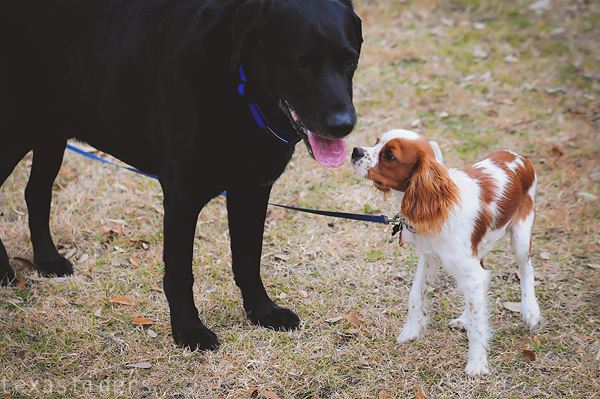 and was happy making friends with the barn dog. After watching for a while longer on my hip (she wouldn't be put down!) 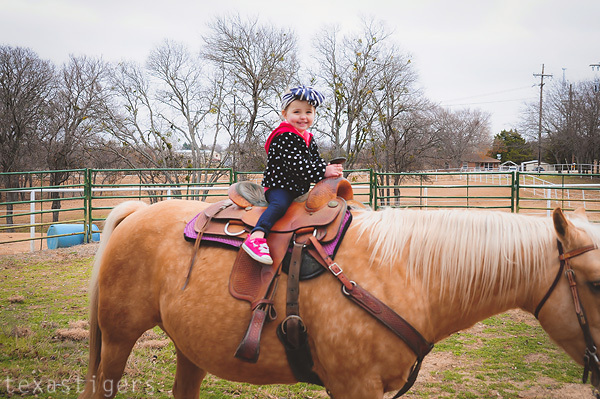 Alexis decided she really, really, really did want to ride a horse. 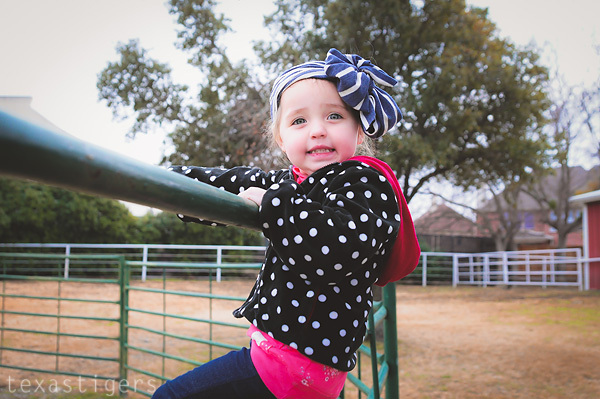 So she got her own turn and while a little apprehensive at first she quickly warmed up and really enjoyed it. But was quite content with just one circle around the pen. After that she was both happy and done! Abby then had her turn using the reigns on Spice. Jake had a turn leading Spice around too! However you can't just have the fun part. 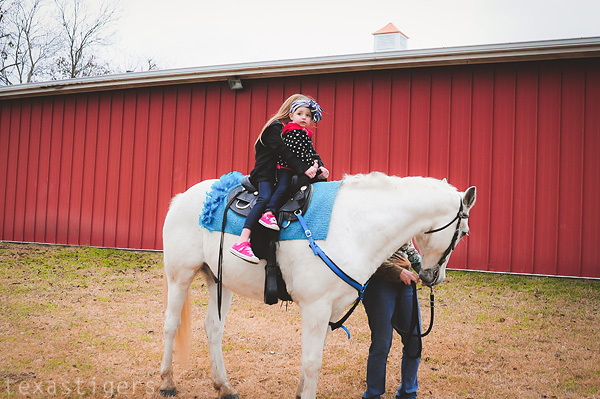 They loved learning how to brush the horses and seeing their neat tricks they knew after the riding was over! 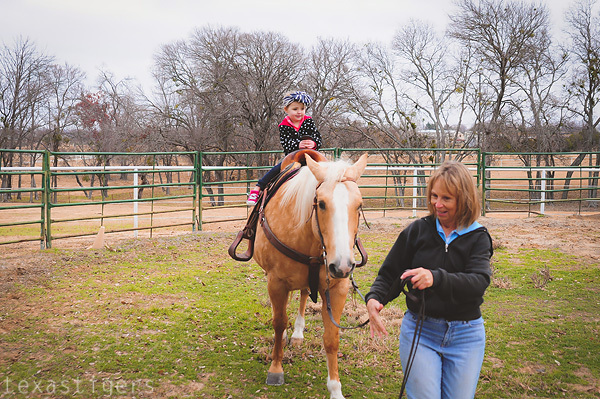 Thanks so much Aunt Amanda and Donna for letting us come visit and letting the kids ride your horses! 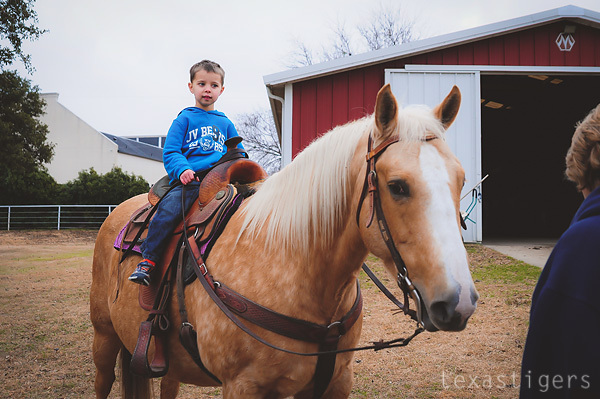 I've never ridden a horse. Sometimes I think I'd like to & other times not so much. Looks like the kids had a blast!